The blending of railway travel and luxury hotels has a long history in Canada. In 1886, Canadian Pacific Railway charged William Cornelius Van Horne with opening the West to tourism, and he proposed a series of luxury hotels that beckoned city dwellers to the region. Today, Van Horne's vision lives on. Exploring historic Fairmont hotels by rail is the ideal way to bring history alive and experience the majesty of the Canadian Rockies. One of the best ways to explore Canada and Fairmont hotels by rail is to book GoldLeaf Service on a Rocky Mountaineer train. 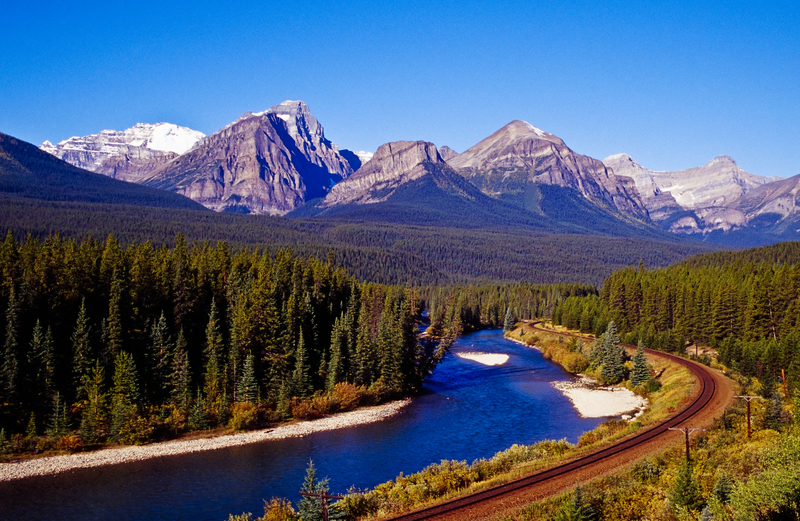 This journey whisks you along the historic rails between Vancouver and Banff. 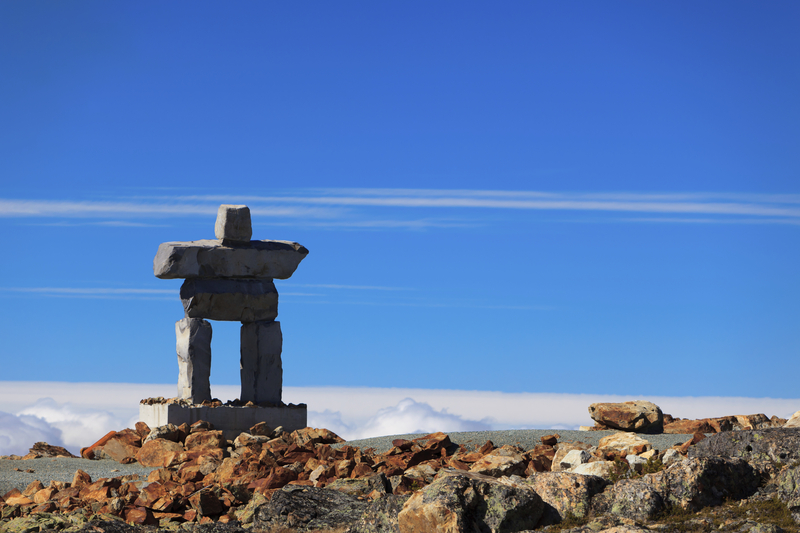 Travel on the original Canadian Pacific route that first united Canada from coast to coast more than a century ago. As you explore the resplendent Canadian Rockies on the only passenger train that now traverses these tracks, you’ll see such wonders as the spectacular Spiral Tunnels and toast the trek across the Continental Divide. Enjoy the ride in a modern, glass-domed coach. Pass the time with the entertaining staff, dining on gourmet meals with snacks and beverages. This unforgettable voyage on what National Geographic called one of the "World's Best Journeys" is framed by visits to Fairmont hotels in Vancouver and Banff. 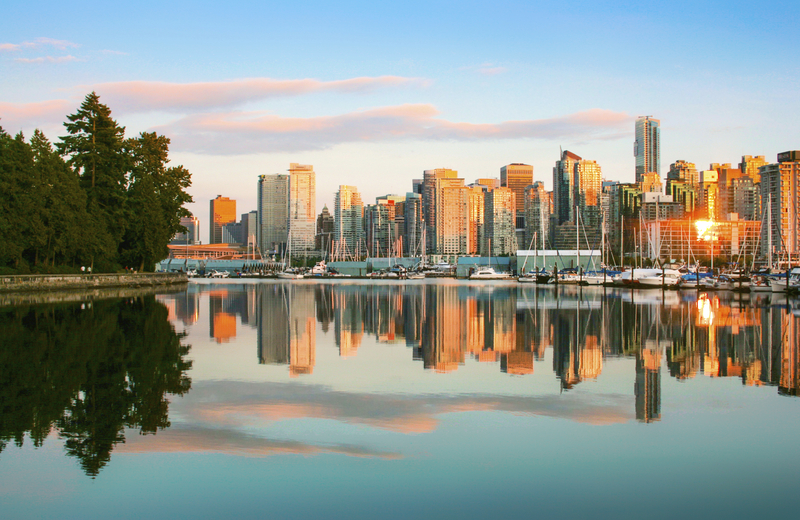 When exploring Western Canada by rail, you’re likely begin or end your journey in Vancouver. Choosing GoldLeaf Service with Rocky Mountaineer, enjoy the elegant and oft-celebrated "Castle in the City," Fairmont Hotel Vancouver. 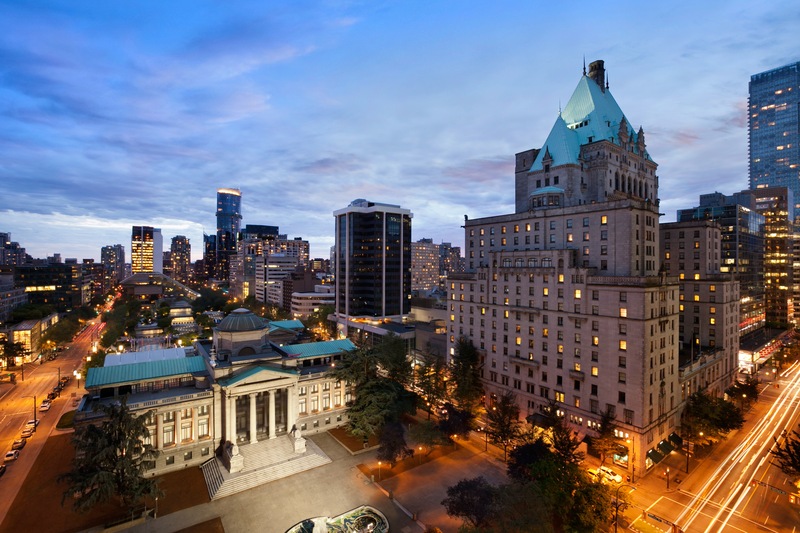 Completed under a joint agreement in the 1930s between Canadian Pacific Railway and Canadian National Railway, Fairmont Hotel Vancouver has welcomed King George VI and Queen Elizabeth, plus movie stars, international diplomats and assorted glitterati. During your stay, the concierge can arrange bespoke tours of the city. For a romantic afternoon, book a private, horse-drawn carriage for a leisurely exploration of the 1,000-acre Stanley Park. 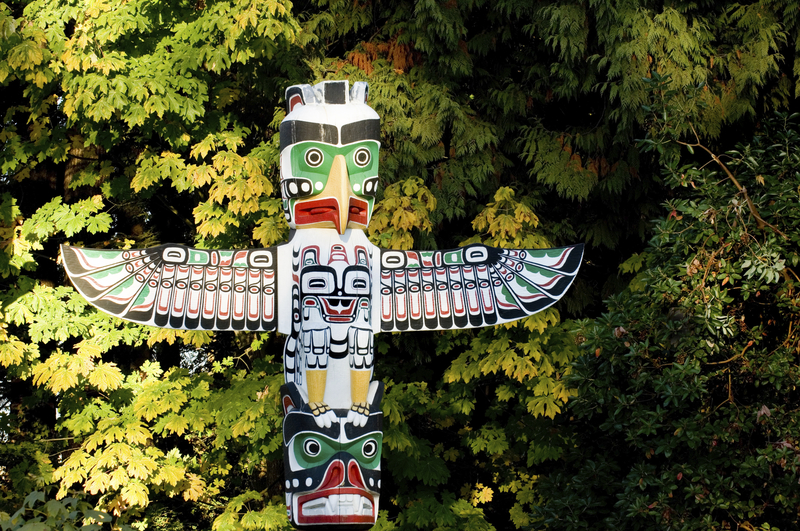 Meander along the harbor, glide past Lions Gate Bridge and wander through the rose garden. For a full day of exploring, ask the concierge to book a Salt Spring Air floatplane for you. After a quick flight to Salt Spring Island, you can spend the morning kayaking. Then relax with afternoon tea for two at Hastings House before heading back to the city. 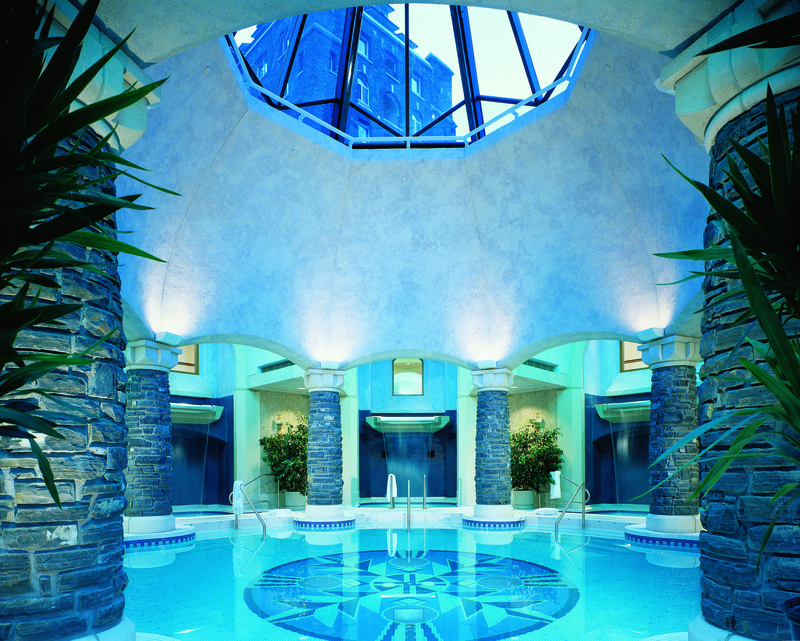 For pampering and relaxation, make your way to Fairmont Pacific Rim, a five-minute walk from Fairmont Hotel Vancouver. This modern, waterfront hotel is home to Willow Stream Spa. On the open-air spa deck, located on the hotel's fifth floor, relax in the hot tub as you savor views of the ocean, snow-capped mountains and bustling urban center. Vancouver's beautiful skyline - perfect for photo ops! Vancouver is foodie heaven. Celebrate the city's oceanic heritage with a stop at RawBar, tucked into The Lobby Lounge at Fairmont Pacific Rim. Under the guidance of sushi chef Taka Omi, feast on the area's freshest fish presented with artistic perfection. For a rail-themed dining experience, head to Notch8 at Fairmont Hotel Vancouver. The room's décor includes private dining compartments, mercury glass and vintage photos. Even the name, Notch8, is a railway term referring to the fastest running capacity on a train, and the origin of the saying, "Take it up a notch." Have something more romantic in mind? The concierge can book a private yacht for the evening, complete with a catered meal and entertainment. 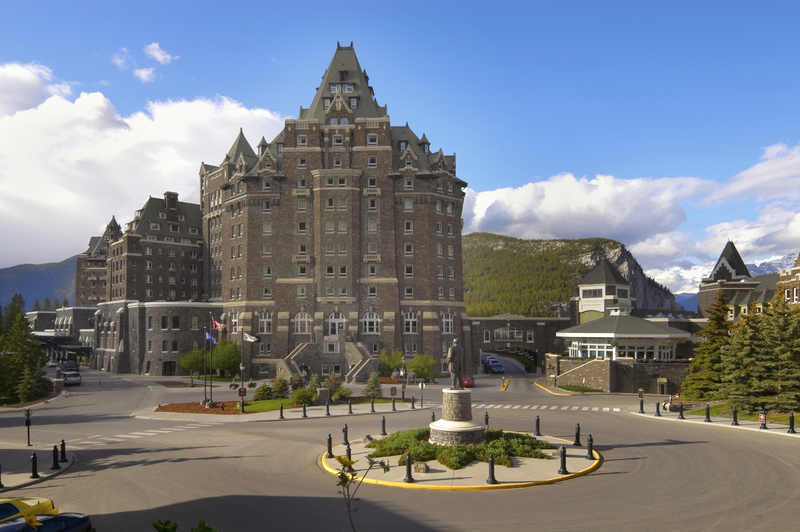 Depending on your chosen route, you may end or begin your journey in Banff, complete with a stay at the legendary Fairmont Banff Springs. The spectacular "Castle in the Rockies" is located inside Banff National Park, now a UNESCO World Heritage Site. Fairmont Banff Springs - "Canada's Castle in the Rockies"
Originally opened in 1888, the hotel offers a daily Heritage Tour of the castle. Or, if you prefer, the concierge can arrange a private tour. Fairmont Banff Springs offers 12 unique food and beverage outlets, providing the perfect way to connect guests to the destination through their taste buds. 1888 Chop House showcases a locally inspired menu of wild game, thoughtfully prepared to tell the story of local farm partnerships. If you’re looking for lighter fare, Grapes Wine bar is a must visit for its cozy atmosphere and intimate service. At the Willow Stream Spa at Fairmont Banff Springs, relax in the mineral pool or under one of the waterfalls surrounding it. For the ultimate escape, book the Rockies Healing Retreat for two. A custom treatment in the couple's suite soothes mind and body, with a foot bath, body scrub, Japanese soak and massage. The property is also home to 27 holes of world class golf; the Stanley Thompson course is notably one of the most picturesque courses in the world. With a course design kind to both amateurs and processionals alike, the 4th hole, or Devil's Cauldron, is your quintessential "golf in the Rockies" photo opportunity. 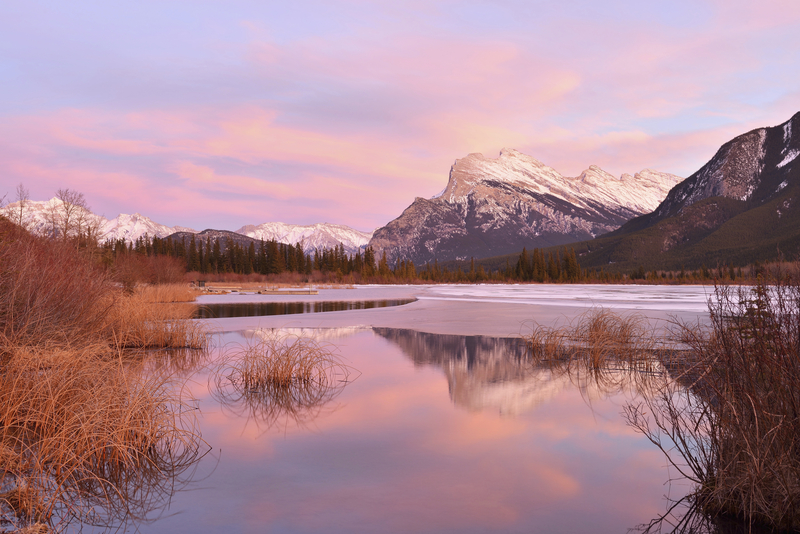 Those who want to experience the area's oft-photographed scenic beauty should plan to take a ride in the nearby Banff Gondola to see the spectacular views. For the more adventurous, the concierge can arrange for an afternoon float trip down the Bow River, canoeing on a nearby lake or a hike to Upper Hot Springs, with views of Mount Rundle from the spring-fed pool. For a longer Rocky Mountaineer journey, book the "Rainforest to Gold Rush" excursion. Stay at Fairmont Chateau Whistler at the base of Blackcomb Mountain. This hotel is North America's largest ski-in, ski-out property, making it ideal for exploring the great outdoors during your off-season visit by rail. Located in Whistler's Upper Village, the chateau is a five-minute walk to all the activity, but rooms have unobstructed woodland views. The perfect way to relax after a day on the train is with a visit to the hotel's massive pool deck, featuring one interior-exterior pool, three outdoor hot tubs, one indoor hot tub, eucalyptus steam rooms and a 60-foot lap pool with underwater music. The Whistler Experience Guide can help you find just the right off-the-beaten-track adventure. From pointing out local hiking trails (like Cheakamus Lake, south of the village), directing you to one of four swimmable lakes or arranging for a nature tour on the golf course, your guide can help you find the ideal way to spend your time in Whistler. For a truly memorable experience, ask the concierge to arrange a visit to secluded, natural hot springs in the backcountry via Blackcomb Helicopters. Of course, the chef is more than happy to whip up a farm-to-fork picnic lunch to take with you. Ready to explore Western Canada by riding the rails? After you book your adventure on the Rocky Mountaineer, contact the concierge at Fairmont Hotel Vancouver (hvc.concierge@fairmont.com), Fairmont Banff Springs (bsh.concierge@fairmont.com) and Fairmont Chateau Whistler (CWR.Concierge@fairmont.com) to customize your experiences at these exceptional hotels. Susan Lanier-Graham has been traveling the world and writing about food, wine and luxury destinations for 30 years. She loves filling her passport pages with stamps and visas and has visited every continent except Antarctica. Susan’s luxury travel articles, focusing on experiencing local cultures, have appeared in such publications as Luxe Beat Magazine, Modern Luxury and Montage.